Whitecourt All Terrain is now offering Argo rentals. We carry the Argo Avenger 8×8 with ROPS roll over protection. We have the areas largest fleet of side by sides and quads. Adding the Argo to our lineup allows us to provide the equipment you need to cover any obstacle on land or water. No matter the job or the conditions, we have the right machine to get you where you need to go. 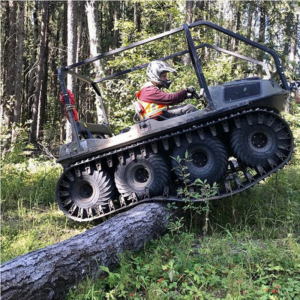 From rightaways and roads, to rough terrain, or muskeg, creek and pond crossings, Whitecourt All Terrain has the vehicles to get your crew and equipment on site. Wet or dry, winter or summer, we have the equipment you need available when you need it.